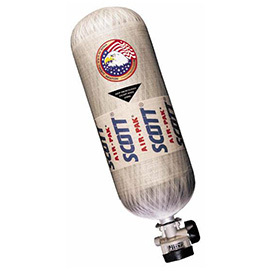 One of the best Scott Air-Paks available, this comes with AV3000 Mask, EZ-Flo Regulator, SEMS, HUD, RIC/UAC Assembly, Dual EBSS, CBRN & Carbon or Aluminum Cylinder. 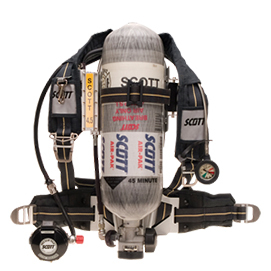 This Scott Air-Pak includes AV3000 Mask, EZ-Flo Regulator with Quick Disconnect, Snap Change Cylinder Connection, HUD, RIC/UAC, Buddy Indicator LED Lights, CBRN & Aluminum or Carbon Cylinder - Optional Pak Alert & Pak Tracker. 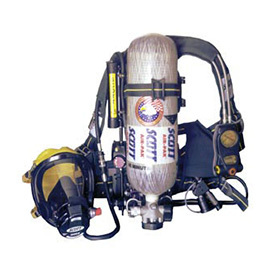 Our most popular SCBA includes AV2000/AV3000 Mask, EZ-Flo Regulator, HUD, RIC/UAC, Integrated Pak Alert SE+ & Aluminum or Carbon Cylinder. 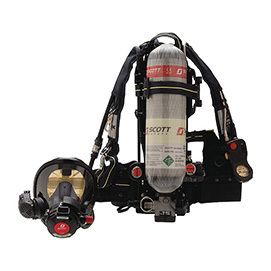 This Scott Air-Pak Includes AV3000/AV2000 Mask , EZ-Flo Regulator, Snap Change Cylinder Connection HUD, RIC/UAC, Pak Alert SE+, Dual EBSS & Aluminum or Carbon Cylinder. 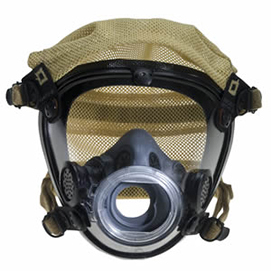 Optional SEMS & CBRN. 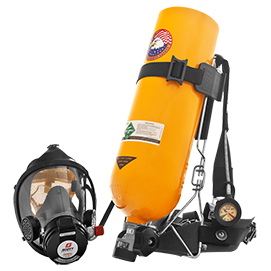 This Scott Air-Pak Includes AV3000/AV2000 Mask & Aluminum or Carbon Cylinder. 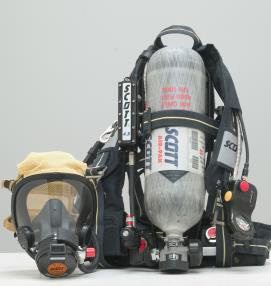 Available also with Integrated Pak Alert. 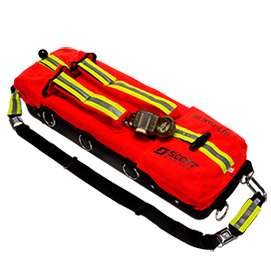 The RIT system is comprised of a pressure reducer, high-pressure fill hose, low-pressure air supply hose and a lightweight carrying device. 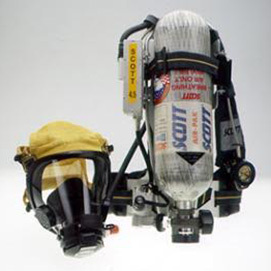 Scott SABA with aluminum cylinder & AV2000 mask. 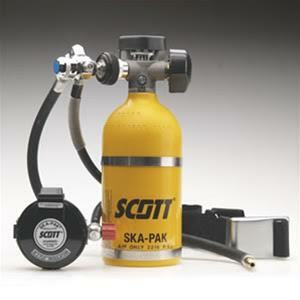 Reconditioned and Refurbished Scott Cylinders. 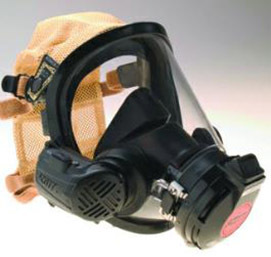 The AV-3000 full face respirator leads the way by providing a better fit, added comfort, and enhanced communications. 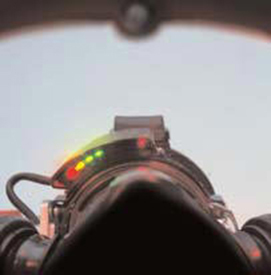 The Scott HUD (Heads-Up Display) gives Firefighters a visual display of their SCBA air status. 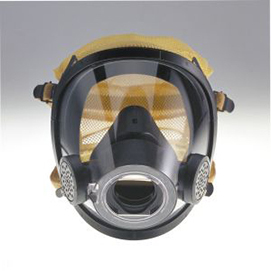 Provides hands-free, person-to-person communication by means of an angled speaker that projects the wearer’s voice in the direction the user is facing. 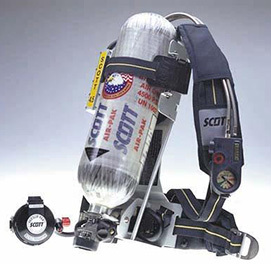 The Rapid Intervention Universal Air Connection (RIC-UAC) allows air to be supplied to a downed or trapped firefighter by either a Scott RIT-Pak II or another compressed air source. 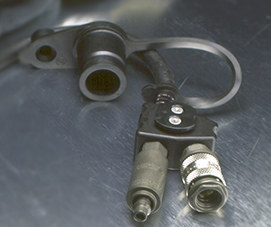 This option provides the wearer the ability to connect to another user without having to disconnect the regulator supply hose. 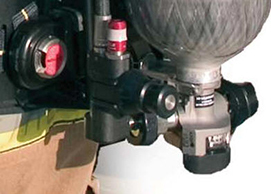 It also allows the wearer to be connected to a remote air source, which may be up to 300 feet away. 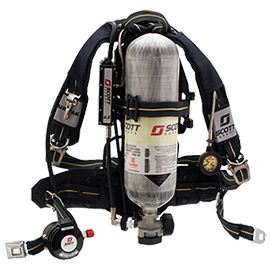 Scott Electronic Management System (SEMS) is the first integrated motion sensor device to include a transceiver to send and receive critical information between individual firefighters and the command station. 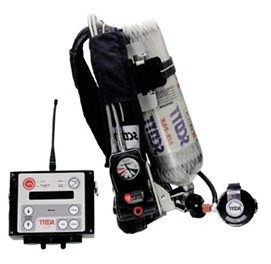 The Pak-Alert SE + is a distress alarm system designed to help locate firefighters and industrial SCBA users who become incapacitated and are unable to call for assistance.